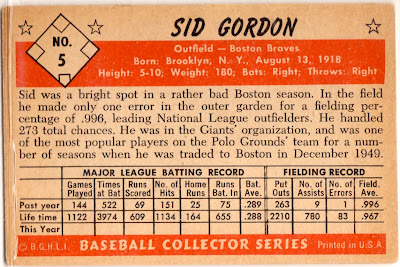 36 years ago this week, former third baseman and outfielder Sid Gordon passed away at age 57. While not well-remembered today, few swung a mightier stick during his Golden Age peak; only HOFers Stan Musial (179 OPS+), Ted Williams (179), Ralph Kiner (163), Joe DiMaggio (151), and Larry Doby (147) did better from 1948 to 1952. 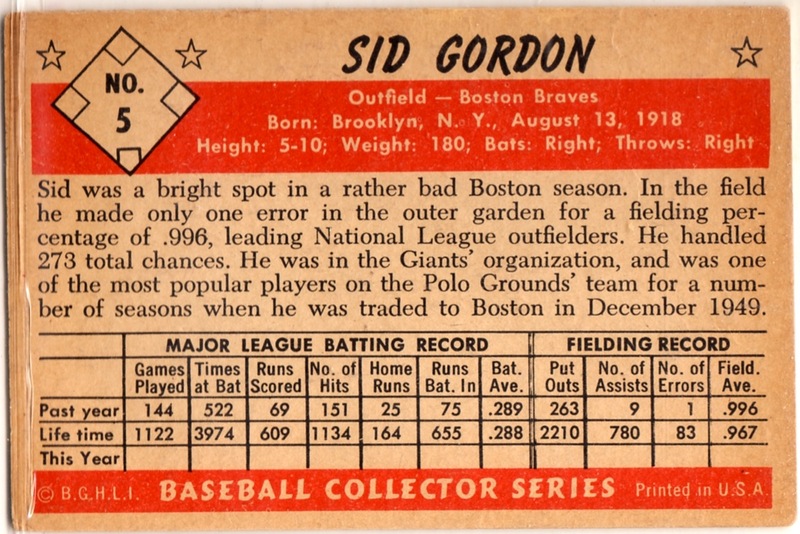 1952's "rather bad Boston season" meant a 64-89 finish, 32 games back of the Dodgers. 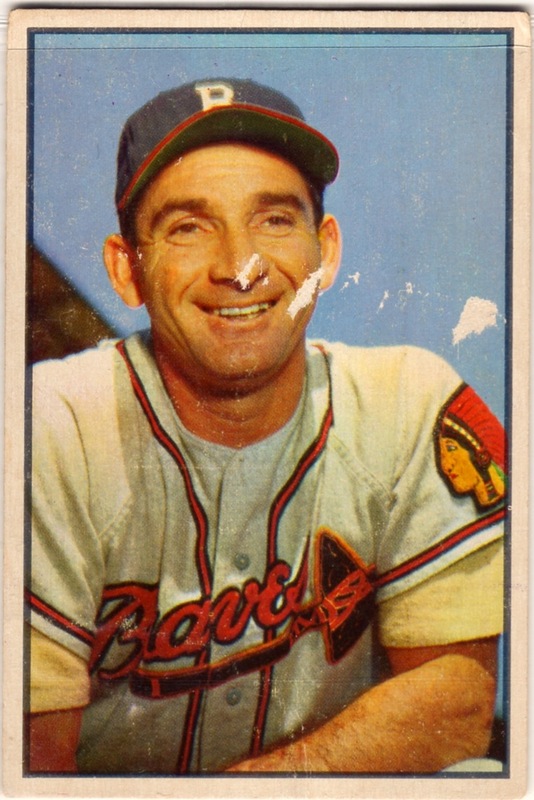 It was doubly bad for local fans, as the franchise picked up and moved to Milwaukee for 1953, where they won a title--their first in 4 decades--just 5 years later. Ouch. Modern card makers mimicked 1953's "no frills" photo front so often that I've already profiled 5 direct descendants. Post-1980 collectors have no doubt seen even more. Value: Low-grade singles cost a few dollars. Mantle, Musial, and contemporary stars run many times that, given 1953's status as a "classic set." Winners from Father's Day Giveaway!